In Los Angeles, CA off Wilshire Blvd and Wellesley Ave is an amazing sushi place called Hara Sushi. I was introduced to this place by my friend Vensy Props. The Tuna Drop roll is my top favorite of the three. It's a pretty simple roll but it's super yummy. 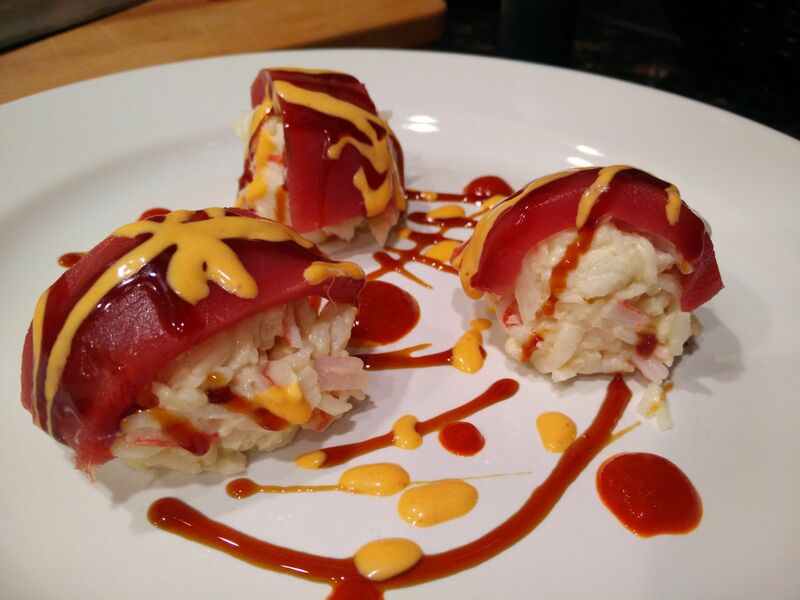 It's basically sliced tuna on top of crab salad, drizzled with eel sauce and spicy mayo. 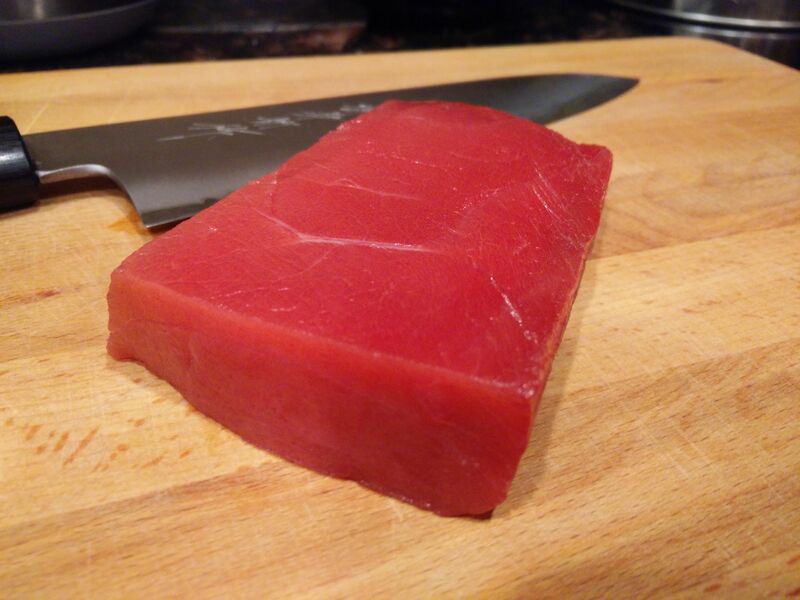 Sushi can tend to be a bit expensive so I wanted to be able to make Tuna Drops at home. Below is the recipe for them if you want to give them a try. Shred the Imitation Crab by hand into a mixing bowl. 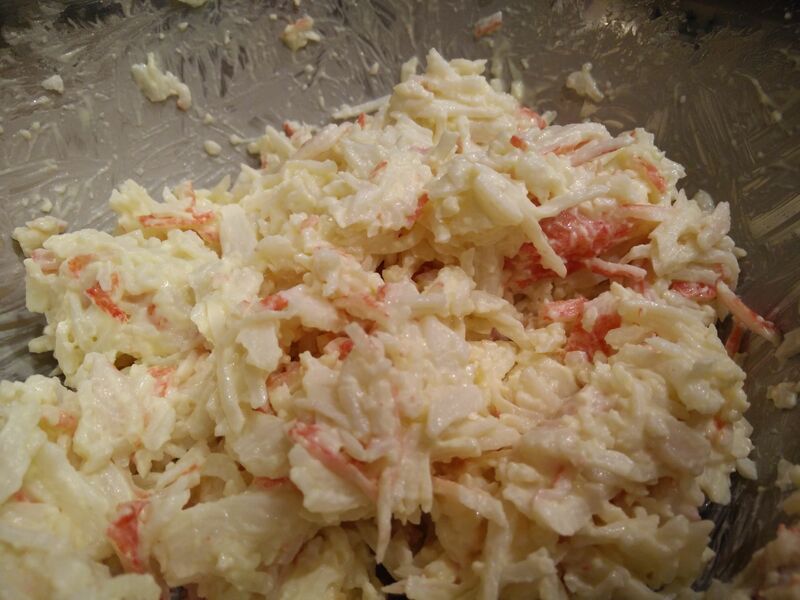 Add a nice amount of the Japanese Mayonnaise to the shredded Imitation Crab and mix it together. You want the crab mixture to stick together but not be too wet, so add more if needed. Next add 1/2 a cup of the Japanese Mayonnaise to a small bowl and combine with 2 tablespoons of Sriracha Sauce. Taste the sauce after mixing, if you want it spicier, add a bit more Sriracha. Take a spoon, or a small ice cream scooper, and place small balls / drops of the Crab Mixture we made before onto a plate. Slice your Tuna into small strips, with about 1/8 inch of thickness. The strip's length should be about 1/2 - 3/4 inches. Place the sliced Tuna on top of each of the balls of crab mixture. 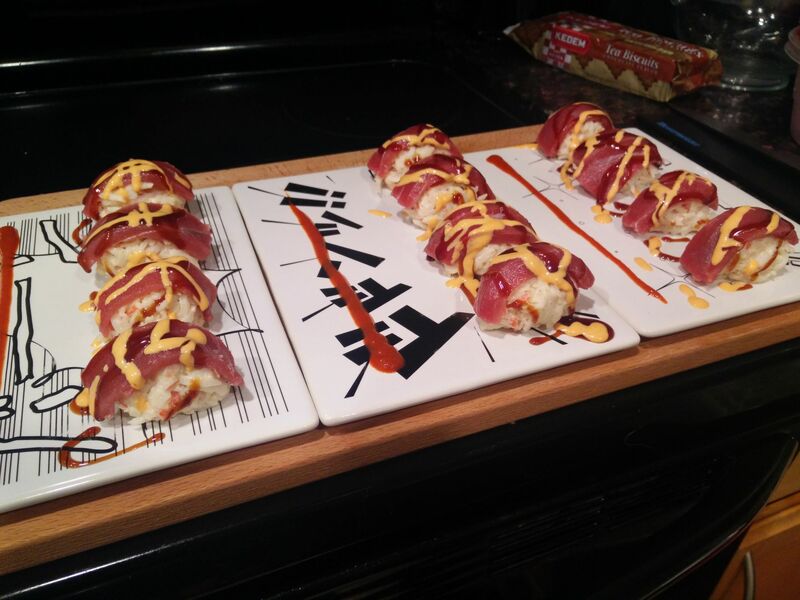 Drizzle the Eel Sauce and Spicy Mayonnaise over the top of the Tuna Drops. 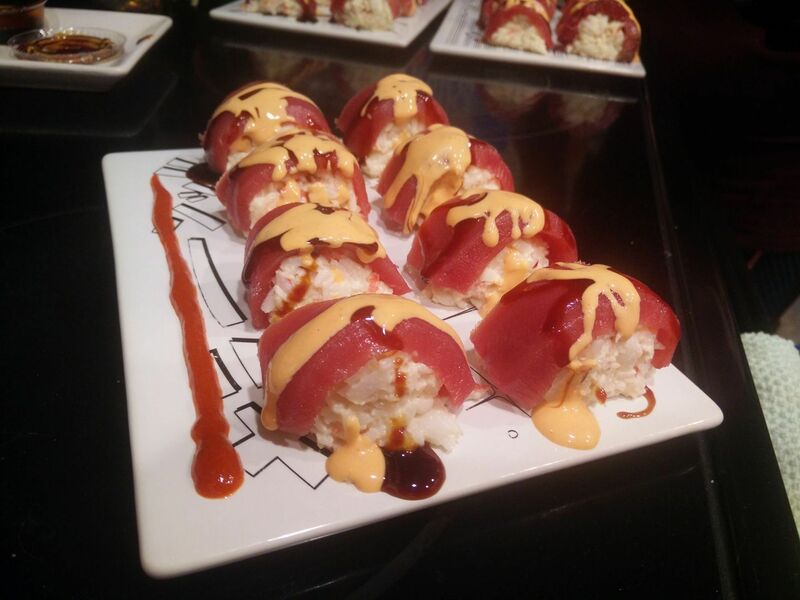 Add a bit of Sriracha Sauce on the side of the plate, this allows you to add a bit more of a kick to the Tuna Drop. That's all there is to it. Very simple but delicious roll. I really wish more sushi places would made these. They already have most the ingredients on-hand typically. Really useful recipe for leftover bits of tuna and imitation crab.